Outstanding Weekend Sit Details - Time to Hunt! 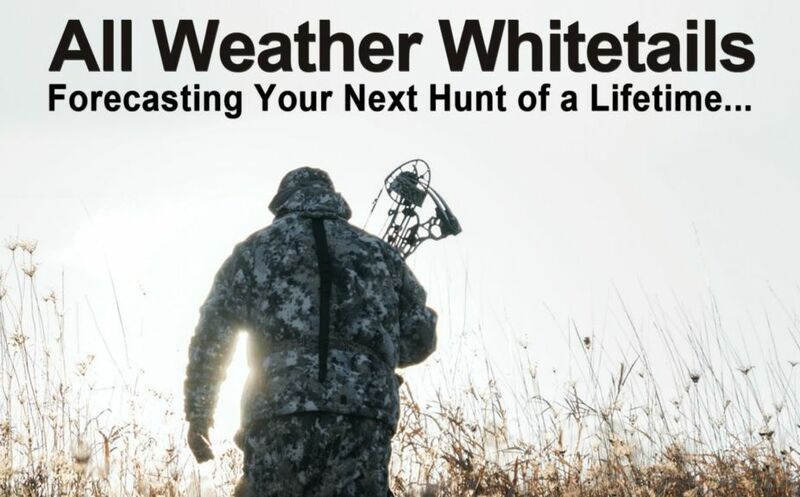 *Get the New Book that can change the way you hunt and raise the bar of whitetail success for the rest of your life: "All Weather Whitetails". 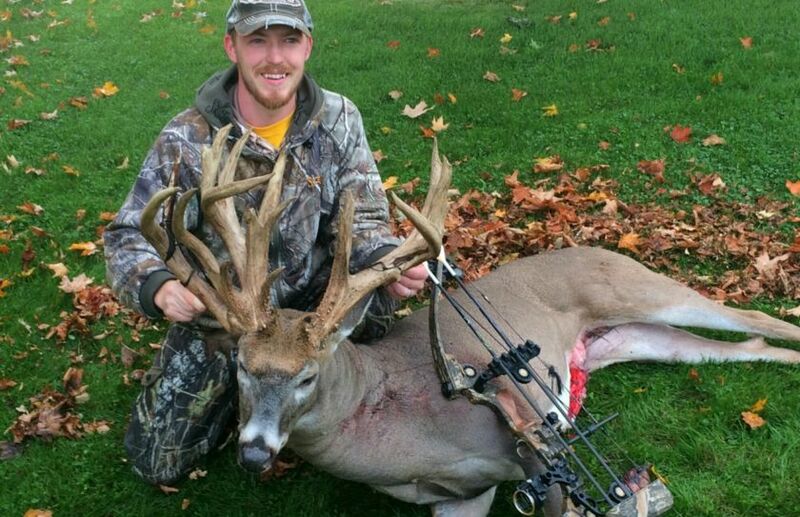 Major temperature changes can kill a hunt, or bring it to life! When temperature drops of 8-10 degrees or more are in the forecast - make sure to hunt! 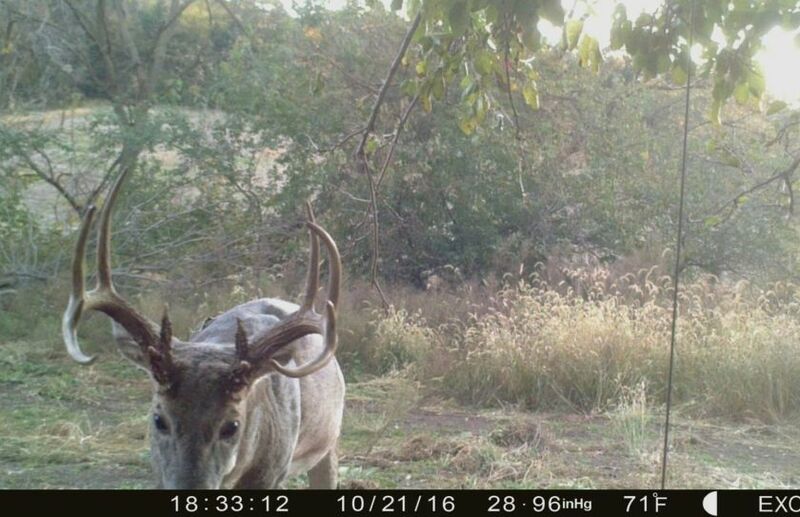 It doesn't matter if the winds have dropped from 50mph to 30mph or from 30mph to 10mph, a 20 degree wind speed change creates an incredible opportunity to hunt! Snow, high winds, rain and thunderstorms all can diminish whitetail movement but watch out! When extreme weather clears the skies, it's time to sit! Several days of calm, boring similar temp and condition days in a row, work together to add even more priority for a forecasted deerfront weather event. The more days in a row that weather is constant and the greater the deerfront, the higher the level of priority is, for actually hunting when a front finally rolls through. 5. The Moon and Barometric Pressure? The moon and barometric pressure (bp) have one thing in common: Neither should dictate when you actually hunt. While the full moon does diminish the value of an evening sit, it raises the value of the following late morning sit. And when it comes to the bp, a rising barometric pressure and drop in temperatures taking place at the same time, is the golden deerfront to make sure to hunt. However, when that golden opportunity is taking place, extreme weather has just passed (3rd priority), winds have already decreased (2nd priority) and there has already been a major temperature change (#1 priority). Regardless of what the moon or bp is showing, if priorities 1-4 have taken place already, I wouldn't even pay attention to either. This major weather system and every other major deerfront system, was in the forecast for over 10 days. Make sure that you don't miss out! Major weather changes are in the forecast for a great length of time, because they are major jet stream changes that weather prediction models can see up to 2 weeks in advance. For example, the next major deferent is beginning to take place around October 30th, just in time for Halloween. Your can count on the deerfront taking place within a day or two of the 30th, and you can begin to make your plans far in advance. I've been watching the weather for decades like this folks and it just plain works! 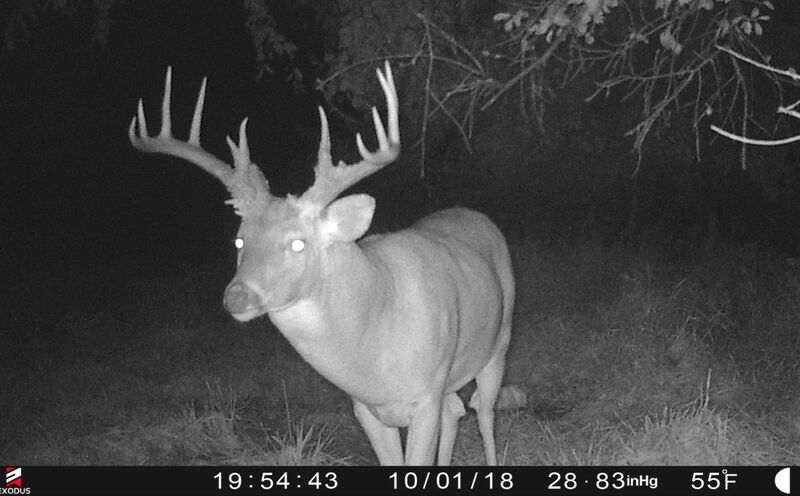 When you add the Pre Rut factor to this weekend's forecast, some major mature bucks are going to Fall. 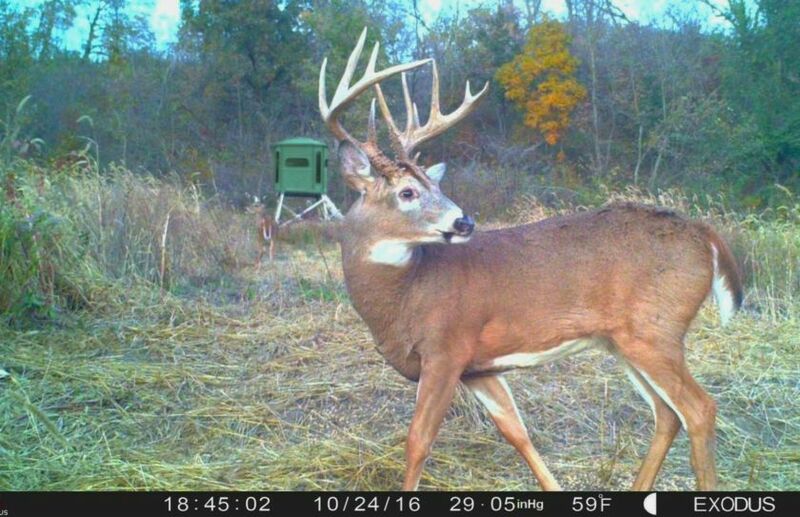 Don't wait for the moon to be perfect or the bp to be rising because when the priority conditions of temperature drop, wind speed change, extreme weather clearing and the weather setup factors hit, you should be in the stand regardless. This weekend offers literally the best hunting opportunities of this young season so far, so try not to miss out if you can make it happen. If you have followed my writings, seminars and videos for the past decade I am sure you have had this weekend on your radar for more than a week however, for those of you haven't - the time is NOW! Have a safe hunt, enjoy and I can't wait to hear about it!